Let me say upfront that I don’t like broccoli. But, I do try to eat it as its supposed to have, like, a gazillion good stuff in it! While I had an initial intention to cook it in a Chinese style dish with scallops and egg whites, a box of Campbell chicken stock lying around turned it into soup. 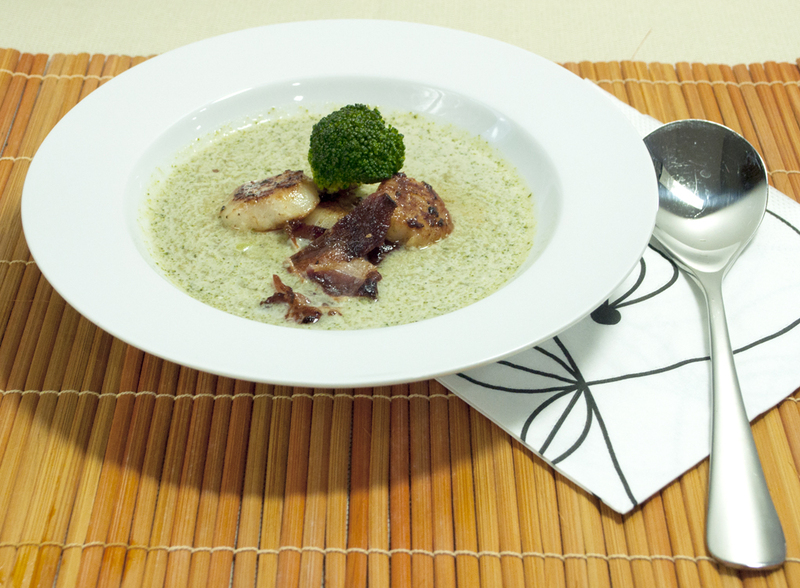 My version is not a thick creamy soup but a lighter, soupier version where you can still taste the broccoli in a balanced way. See my previous post for other ideas on serving scallops. 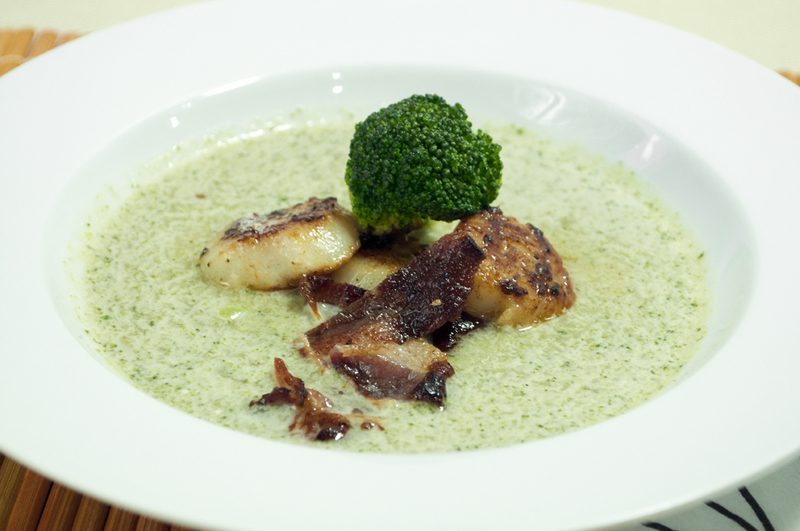 This entry was posted in BRUNCH ITEMS, MAIN COURSES, SEAFOOD (Ocean's Gifts), SOUPS & STEWS (Comforting Slurps) and tagged broccoli, creamy, cripsy bacon, pan seared, Scallops, soup by Whisky Uncle. Bookmark the permalink.